Neighborhood Forest gives trees (6-12 inches in size) to school children. For free. Every Earth Day. We do this in cooperation with parents, school administrators and teachers. We agree to give trees away for free, provided schools are willing to distribute them to their students and parents are willing to plant and care for them with their kids. We currently serve the Midwest, though we have worked with schools outside this region. Eventually, we are looking to expand nationwide and internationally. We give free trees to school kids through generous sponsorships from businesses and individuals. Sponsoring one child to plant a tree on Earth Day costs as little as $1.99 per year. Once a school has received sponsorships for all its children, permission forms are emailed to parents. If parents agree to plant and care for the tree with their child, they receive a free tree from Neighborhood Forest on Earth Day. The more sponsorships we have, the more trees get planted in urban, suburban and rural communities. 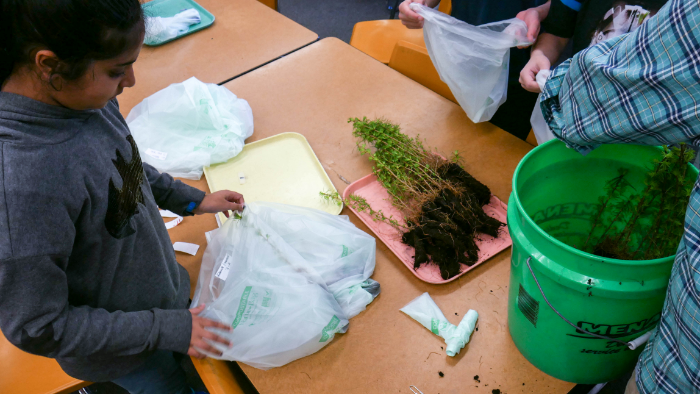 In 2017 Neighborhood Forest donated nearly 7,000 trees to schoolchildren across 10 states as well as in Ontario, Canada. 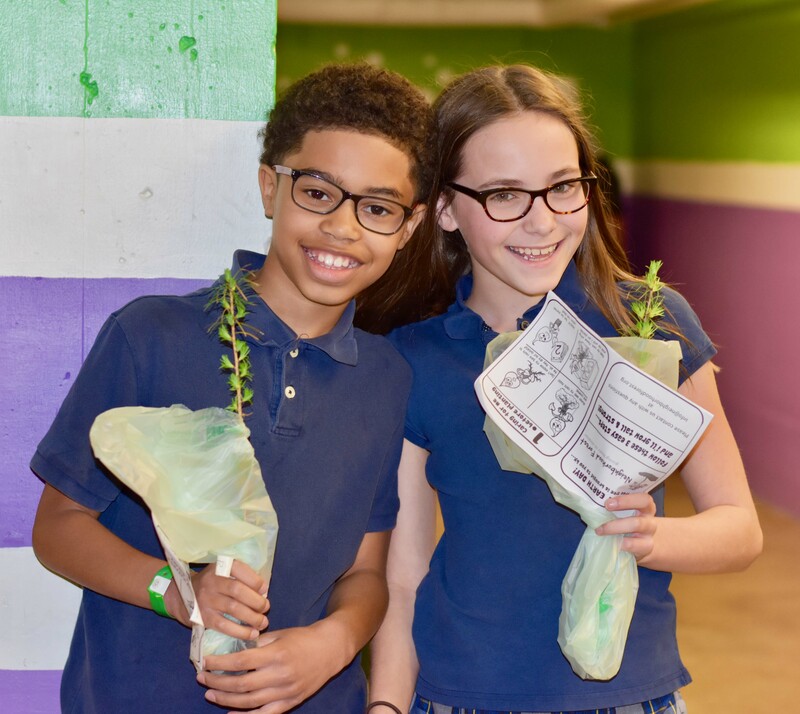 Given that in 2010 they started with 450 trees in four schools in Minneapolis and have since reached over 45,000 school children who have helped plant over 24,000 trees in 10 states and Ontario, this is some leap forward! 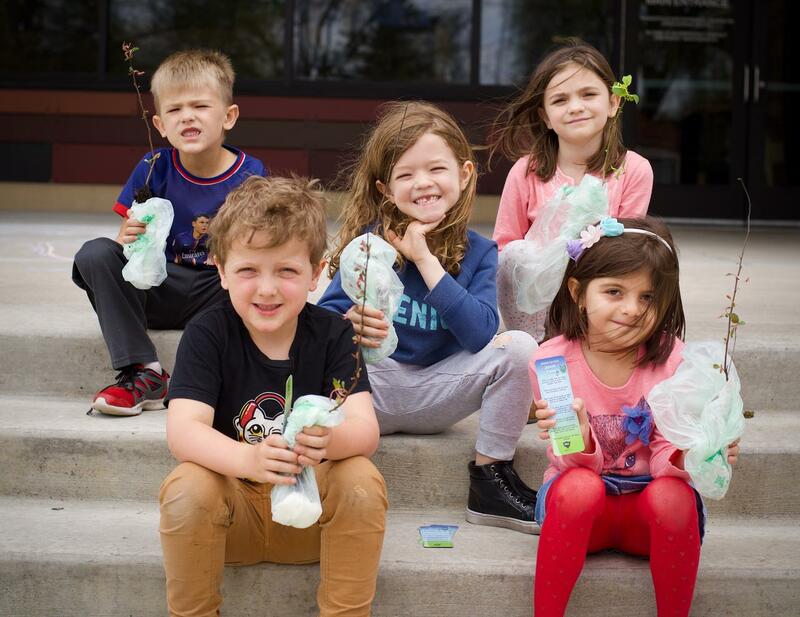 The organization has seen wildly successful results and feedback, especially from parents and teachers thrilled to see their children involved in helping repopulate the tree count in their communities. "Thank you for the great experience. Our students loved participating! We hope to do it again next year if possible," Cortney Diddle, teacher in Woodlawn, Tennessee, said. The students are also clearly big fans of this program and are an example of its yearly growth. "My son jumped up and own with joy and had a huge smile when he got his tree," Sarah Kessel, mom of Daniel, said. Not only did Neighborhood Forest provide treest to children, they also put together a handy video with instructions on how to plant a tree which can be viewed here as well as planting instructions on the tamarack and crabapple trees handed out. As part of Natur-Bag's partnership with Neighborhood Forest, we donated 7,500 3-Gallon liners which were then used to transport the trees to their final location. We are proud to work with such a fine organization with an exemplary mission such as this! When looking at what the future holds for Neighborhood Forest, it's clear that the path ahead is a bright one. With plans to upgrade the website and donate up to 11,000 trees in over 13 states next year, Neighborhood Forest has shown that it is a worthwhile cause that's here to stay! To learn more about Neighborhood Forest, please visit their website or their Facebook page. We would like to thank Vivek and Vikas Narula for their cooperation in this highlight and we wish them, and all associated with Neighborhood Forest, the best of luck going forward. We're looking to see this organization continue its fantastic growth!